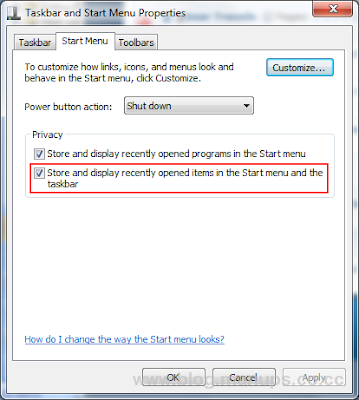 Gmail Notifier for Windows 7 is an awesome application that works from the system taskbar (dubbed superbar) to inform you of any new mails in your Gmail inbox. 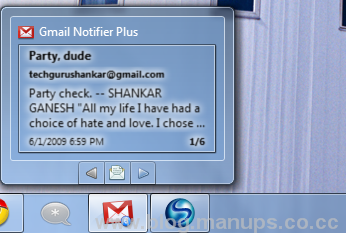 Right clicking on the Gmail Notifier Plus icon will bring up a jumplist that lists your most recent unread messages. A counter is shown at the top but the jumplist only allows for 10 maximum titles to be displayed. Below are some common tasks that increase productivity. Hovering your cursor over the icon activates the thumbnail previews that show an excerpt of your unread mail. The app makes great use of the thumbnail feature to display other alerts as well.